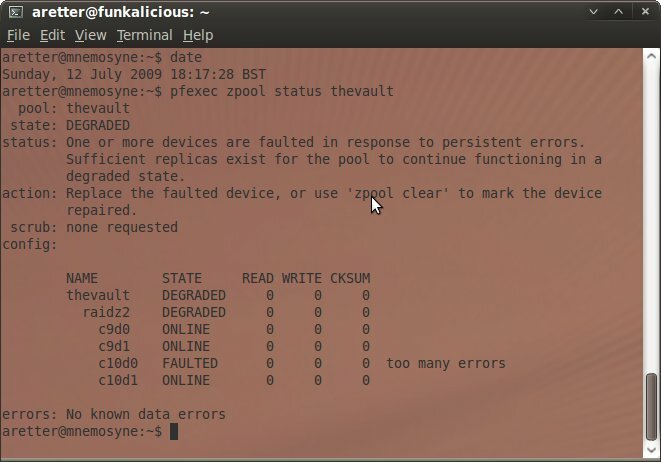 After having finally built my NAS and had it happily working away in the background for a couple of weeks, it would seem that failure has struck; one of the disks forming the ZFS RAIDZ2 storage pool has failed! Whilst I am sure this seems a little ironic or sounds like a commissioned advert for ZFS by Sun, I can only try to reassure you that this is not the case. I am fairly new to ZFS so I made some enquiries with the seasoned professionals in #opensolaris on FreeNode, to make sure that the errors I was seeing were definitely hardware related and not misconfiguration on my part. Whilst I was surprised that such a new disk would fail so soon, I was pointed to something called the "bathtub curve", which can be seen in chapter 4.2 of this paper. The "bathtub curve" basically follows that there will be high failure rates at the begining of a product's life (infant mortality) and at the end (wear-out); the statistics gathered in a further paper by Google entitled "Failure Trends in a Large Disk Drive Population" also seems to back this to a certain extent. Overall I was glad to be reassured that this was a hardware failure and not a mistake on my part, and most importantly that I lost no data. 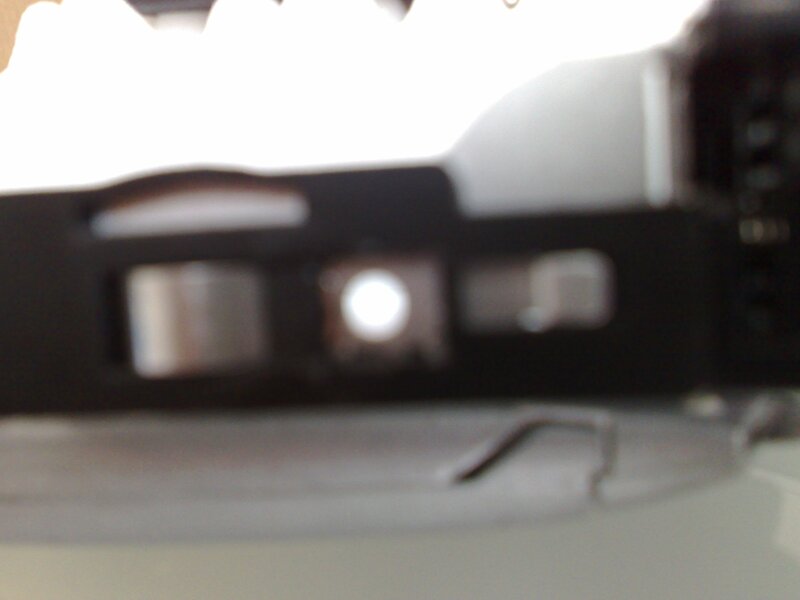 The failed disk will shortly be replaced by the supplier, lets hope the replacement lasts a little longer. After previously deciding to build my own NAS, having defined my requirements in Part 1 and identified suitable hardware and software in Part 2, I will now discuss the build first in terms of the physical hardware build and then the software installation and configuration. I will not detail the exact build process for the Chenbro chassis as that information is available in the manual, instead I will try and capture my own experience, which will hopefully complement the available information. 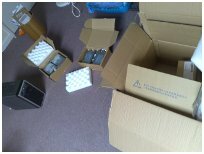 Once all the parts had arrived, the first think to do was un-box everything before starting to put the system together. My immediate impression of the Chenbro ES34069 NAS chassis was that it was robustly built and manufactured to a high standard. 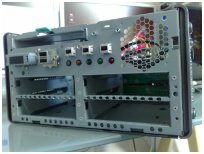 The first step in building the NAS with the Chenbro chassis, is to open up the chassis and then install the Motherboard. 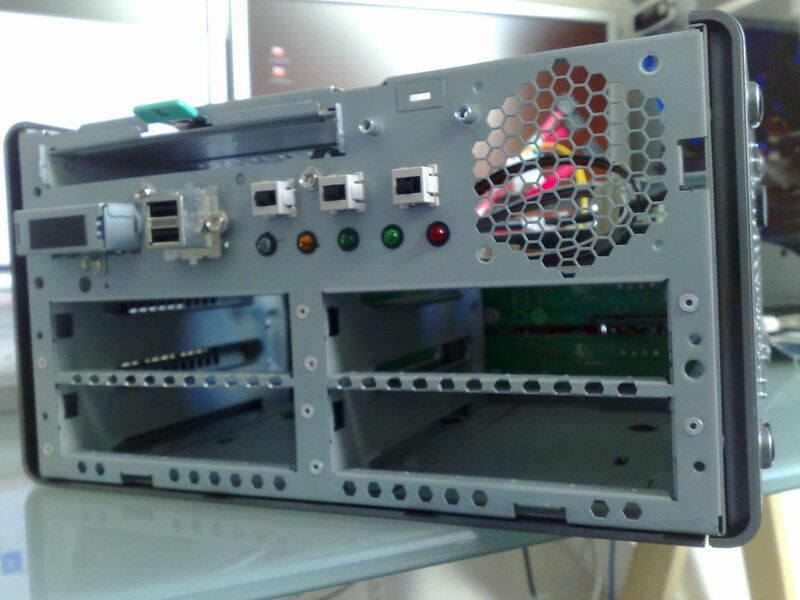 To open up the Chassis you need to remove the side cover and then the front panel. 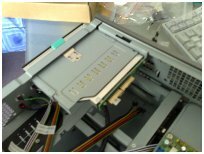 The second step is to get the Card Reader, DVD-RW and 2.5" Hard Disk for the operating system in place and cabled to the motherboard. 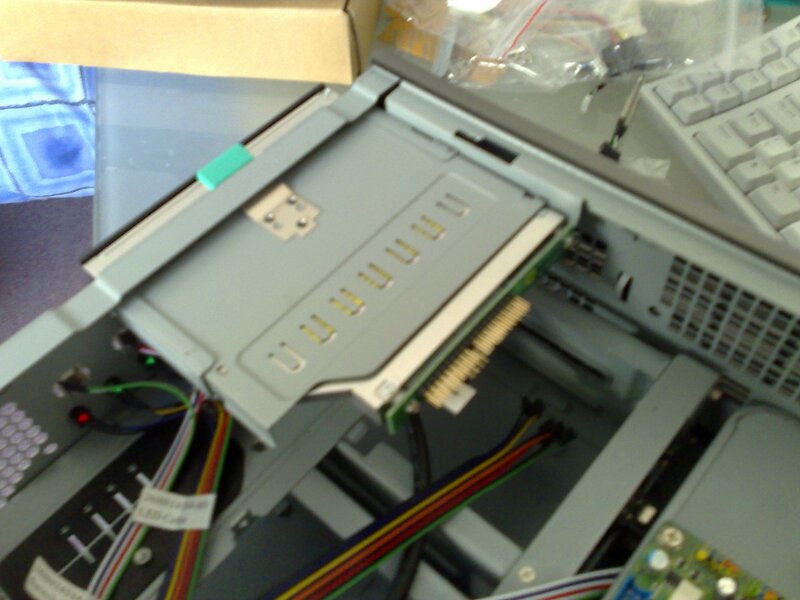 The Hard disk needs to go in first, followed by the Card Reader and then the DVD-RW. I realised this too late, but luckily the DVD-RW is easily removed! 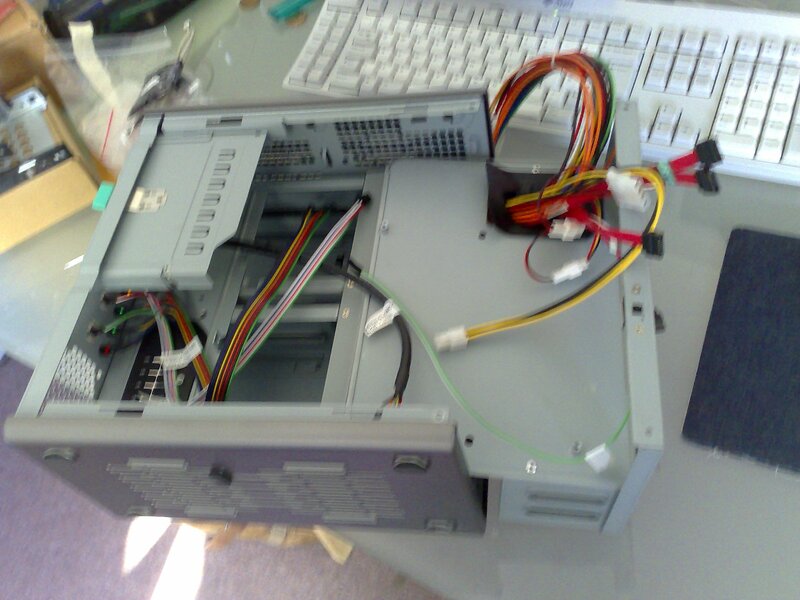 The third step is to finish connecting any cables, secure the cables away from the fan (I used some plastic cable ties for this) and then switch on and check that the system POSTs correctly. 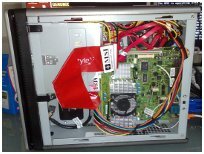 I did this before inserting any of the storage disks in the hot swap bays for two reasons - 1) if there is an electrical fault, these disks wont also be damaged, 2) if there is a POST fault, it rules out these disks as a possibility. 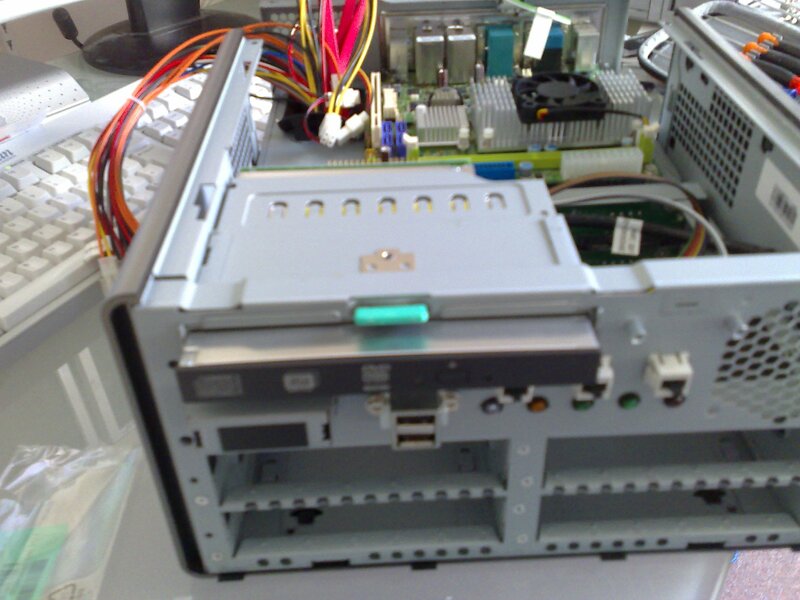 The final step is to install the storage disks into the hot swap caddies and those into the hot swap bays of the NAS. This is where I hit upon a show stopper. Securing the disks in the hot swap caddies requires some special low profile screws, these seemed to be missing, I checked the manual and it stated that these were shipped with the chassis, but unfortunately not for me :-(. After a week of not hearing from the supplier and unable to find suitable screws, I cracked and decided to improvise. 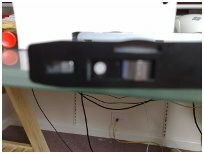 The mounting holes on the hot swap caddies are a combination of plastic layered on metal, I reasoned that by cutting away the top plastic layer I would have more space for the screw heads. Very carefully I removed the plastic around the screw holes using a sharp knife, I am sure I probably voided some sort of warranty, but now standard hard disk mounting screws fit perfectly :-). 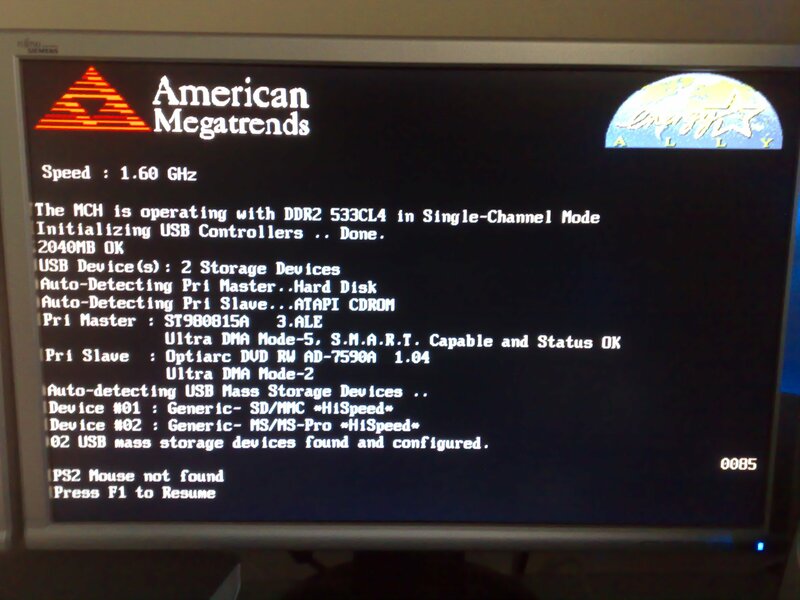 A standard installation of OpenSolaris 2009.06 from CD-ROM was performed. Once the installation was completed, the remaining configuration was completed from the terminal. 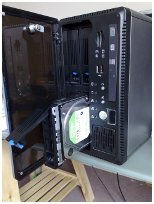 As previously discussed in Part 2, I decided to use a RAIDZ2 configuration across the 4 1TB storage disks. Now that we have our filesystems we need to setup some accounts for our network users and assign permissions on the filesystems for the users. 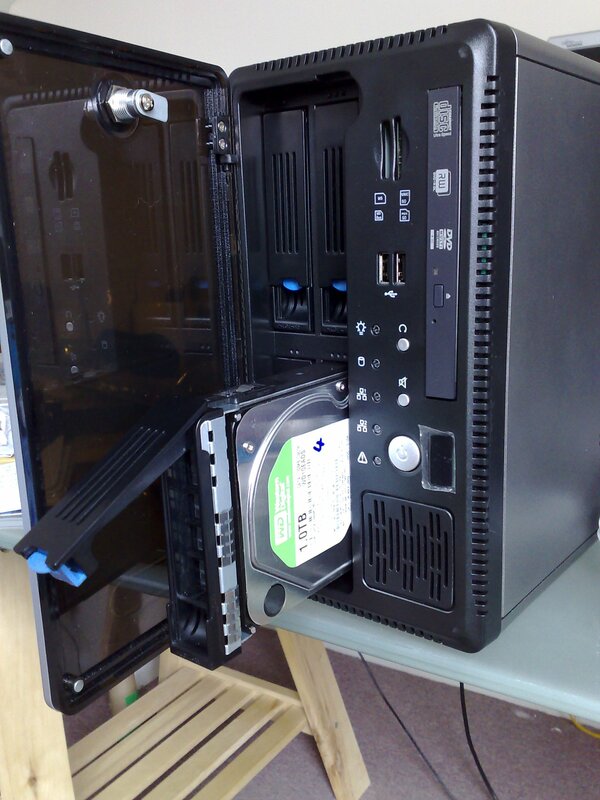 Well this is a NAS after all, and so we need to make our filesystems available over the network. Apart from myself, everyone else in the house uses Microsoft Windows (XP, Vista and 7) on their PCs, and because of this fact I decided to just share the filesystem using OpenSolaris's native CIFS service. 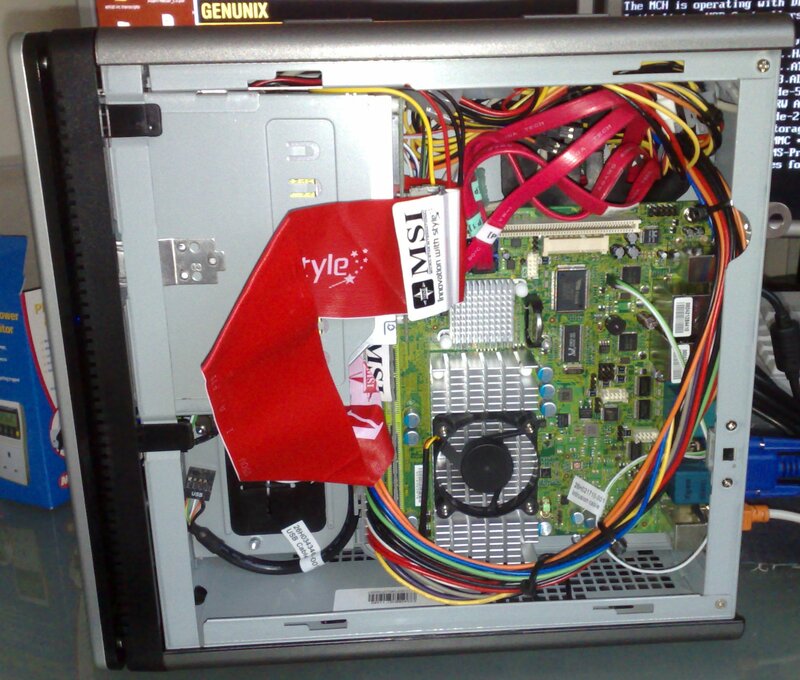 Not enough USB port headers - The MSI IM-945GC motherboard I used only had two USB headers. I used these to connect the NAS SD card reader, which meant that I could not connect the USB sockets on the front of the NAS chassis. This is not a major problem as I can just use the sockets on the back. 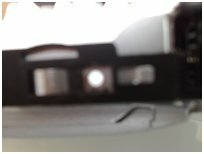 Missing hard disk caddy screws - As soon as I discovered these were missing, I contacted mini-itx.com by email (they have no phone number). 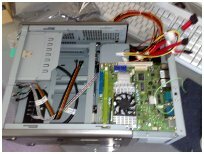 After several emails and only one very poor response saying they would look into it, I gave up on mini-itx.com. As described above, I managed to work around this issue, although after about 3 weeks a package of screws did turn up in the post unannounced and I can only assume these are from mini-itx.com. My advice to anyone would now be DO NOT USE mini-itx.com, their after-sales customer service is abysmal, I probably should have guessed by the fact that when I made a pre-sales enquiry they never even replied! 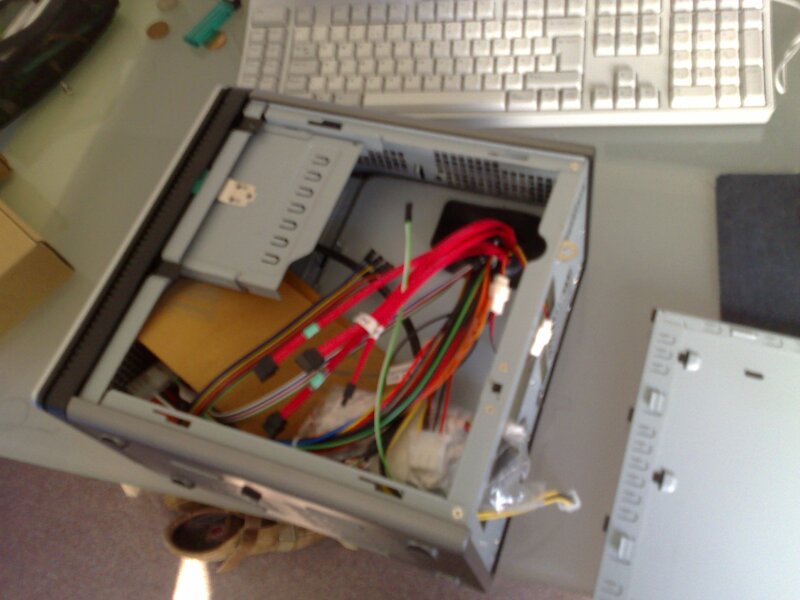 Fitting everything in - Mini-ITX form cases, can be quite a tight fit once you have all the cabling in. 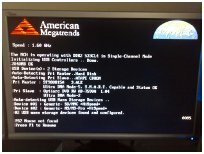 I would recommend avoiding using large cables such as IDE where possible. It took me a couple of attempts at re-routing my cables to make best use of the available space. 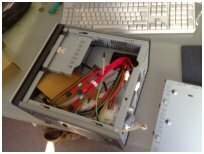 Once the NAS was built and functional I decided to make some measurements to find out its real power consumption (whether it is as low as I had hoped) and also its network performance for file operations. For measuring the power usage I used a simple Plug-in Energy monitor that I got from my local Maplin store. Whilst this device gives me a good idea of power consumption, it is actually very hard to get consistent/reliable figures from it, as the readout tends to fluctuate quite rapidly. The figures I present here are my best efforts and the average figures are based on observation not calculation. For measuring the network performance, I placed a 3.1GB ISO file on the public ZFS RAIDZ2 filesystem and performed timed copies of it to two different machines using both SCP and CIFS. 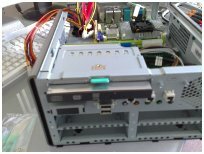 The first machine was a Dell Latitude D630 Windows XP SP3 laptop, which is connected to our home Gigabit Ethernet LAN using 802.11g wireless networking (54Mbit/s) via our router. 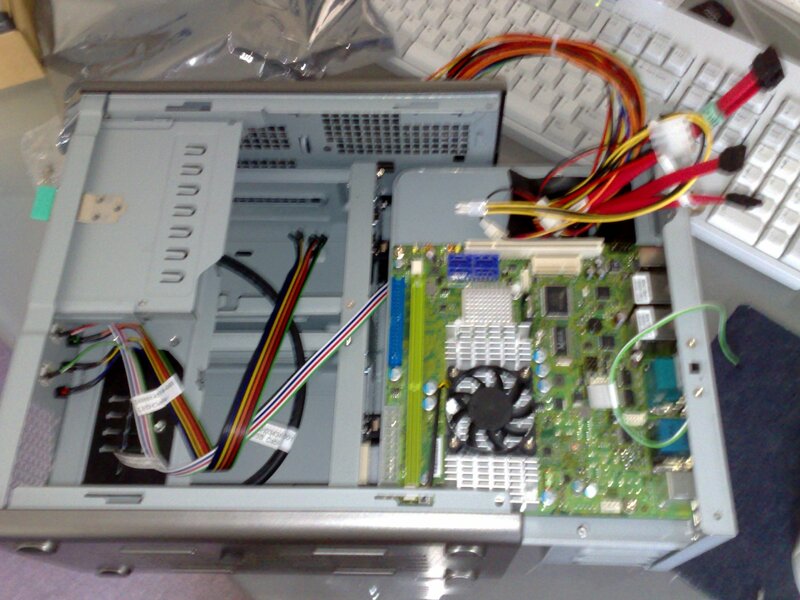 The second machine I used was a custom desktop based on an AMD Phenom X4, MSI K92A Motherboard with Gigabit Ethernet, 8GB RAM and Ubuntu x64 9.04, which is connected directly to our home Gigabit Ethernet LAN. 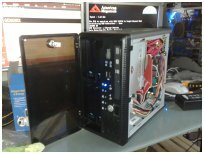 Overall I am very happy with my DIY NAS system, I believe it meets the requirements I set out in Part 1 very well. 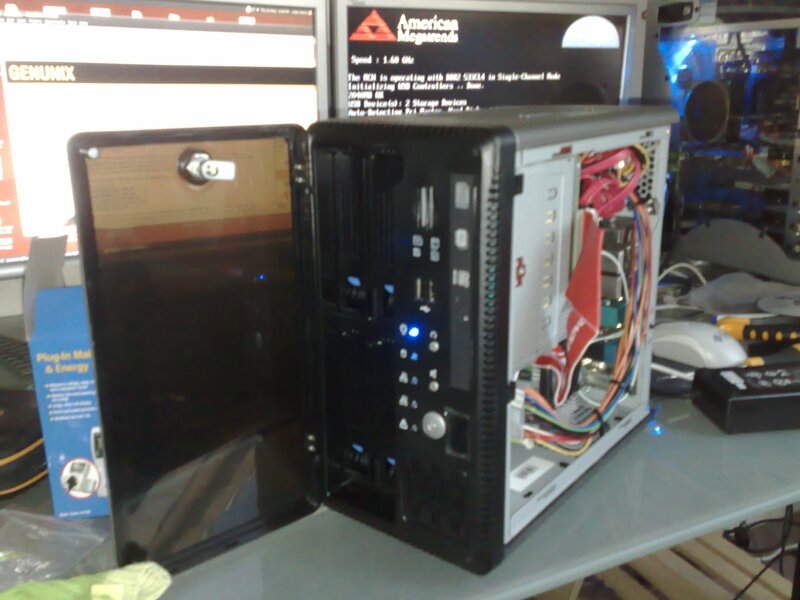 It is physically small and quiet, provides 2TB of reliable storage and does not use any proprietary drivers. The power consumption is slightly higher (42W to 50W) than I estimated (33W to 50W), which is not unsurprising considering I only had figures for some components and not a complete system. However, I have also measured the power consumption of my desktop with and without the old HighPoint RAID 5 storage that I am aiming to replace with this NAS, and without it I have saved a huge 40W! Admittedly I am now using 10W more overall, but I have a networked storage system that is used by the whole house. 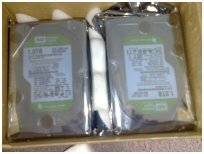 I think if I replaced my desktop's primary hard disk with a Western Digital Green drive I could probably claw back those additional watts anyhow. I am very happy with the network performance, and it is more than adequate for our needs. I have been told that I could probably increase it with careful tuning of various OpenSolaris configuration options. 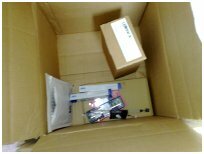 The cost whilst high for a home IT mini-project, is not unreasonable, and I think I would struggle to find a commercial product at the same price point which offered the same capabilities and flexibility. We have both an XBox 360 and PlayStation 3 in our house that can be used as media streamers. The PS3 requires a DLNA source and the 360 a UPnP source, and it looks like ps3mediaserver should support both. However ps3mediaserver also requires a number of open source tools such as MPlayer and ffmpeg amongst others. There are no OpenSolaris packages for these, so I will have to figure out how to compile them, which will take some time. A website for controlling and administering the NAS would be a nice feature. Especially if you could schedule HTTP/FTP/Torrent downloads straight onto the NAS. When I have a rainy week, I may attempt this. I could see this eventually leading to a custom cut-down OpenSolaris distribution built especially for NAS.